If you’ve ever tried to lose weight, you understand how difficult and frustrating it can be. It’s slow and hard and takes a lot of resolve—sometimes without any noticeable results. If this is you, you’re not alone. Every year, people spend billions of dollars on books, supplements, miracle foods, and diet plans, all in the name of shedding pounds. Why is it so difficult to lose weight? One reason is that we tend to look at being overweight one-dimensionally. It’s easy to think that gaining weight is just about eating too much, and to lose weight you just need to eat fewer calories, right? Maybe not. There are a lot of factors that go into how you metabolize those calories you eat. Among them: the health of your digestion, your history of previous dieting, antibiotic use, stress hormones, mood, your overall metabolism, and your emotional health. Chinese medicine is based on the theory that your body needs energy to perform everything it does, and that energy needs to flow smoothly. You get your energy from the food that you eat, which is measured in calories. While it seems pretty cut and dried, determining energy, or the caloric value of your food, is not clear-cut. It fluctuates based on how you cook the food, how much fiber it contains, and how well your body digests and metabolizes that food. Beyond having enough energy to get through your day, in Chinese medicine that energy must also flow smoothly. This simply means that all the moving parts in your body need to keep moving without obstruction. In the case of weight loss, it’s important that your food moves through your gut and is metabolized properly. Any digestive problems that you may have tends to slow down how you metabolize foods and fluids, causing an overall moist bogginess, called dampness in Chinese medicine. Excess weight is considered to be damp tissue, because it’s heavy and full of fluid. The upshot is that if you have problems with your digestion, it’s likely hindering your weight loss efforts. You’ve heard that exercise is a good way to facilitate weight loss because it burns calories. In Chinese medicine, exercise is also considered helpful in your weight loss efforts because it creates flow in your body. It gets your muscles moving, your heart pumping, and your digestion rolling. In addition, movement creates more movement—in a good way. The excess damp weight that’s settled around your waist or on your hips are considered to be stagnant. Moving your body helps to move some of that accumulation of damp tissue. Diets don’t work, Part 1. Chinese food therapy is based on the idea that each of us has a very unique body constitution, or makeup. Therefore, the foods you need for optimal health are different than those that your best friend needs. This is true whether you’re dieting or not. It also explains why the diet that worked for your co-worker didn’t work for you. If you talk to your practitioner of Chinese medicine, they can determine what foods are best for you to not only maintain your health, but also to help you shed a few pounds. Diets don’t work, Part 2. Your body is programmed to protect your energy stores. When you go on a strict diet, you may lose weight for a while. However, during that time your metabolism slows down in an effort to keep you from starving—it doesn’t know that you’re just on a diet. When you stop dieting your slower metabolism causes you to gain back the weight you lost and then some. A better strategy is to find a healthful way of eating that you can sustain for the rest of your life. Your emotional health plays a role in your weight, too. Stress and strong emotions cause the hormones cortisol, adrenaline and insulin to ramp up or down in a way that allows you to sustain the fight or flight response. As a result, some body systems are put on alert and others, like your digestion and immunity, are dialed back. This shift in hormones is also responsible for the intense sugar or carbohydrate cravings you may have during times of stress, high emotions, or depression. So you understand that you need to eat what’s right for you, exercise is important, diets don’t work, and you need to get your digestion on track. But how do you move forward, and how can you lose weight with Chinese medicine? A good first step is to meet with your acupuncturist and talk through your goals for losing weight. They can help determine the kinds of foods that are best for your particular body type. They can also tailor their acupuncture treatments to help you relieve stress, deal with food cravings, get your digestion straightened out, and resolve dampness. 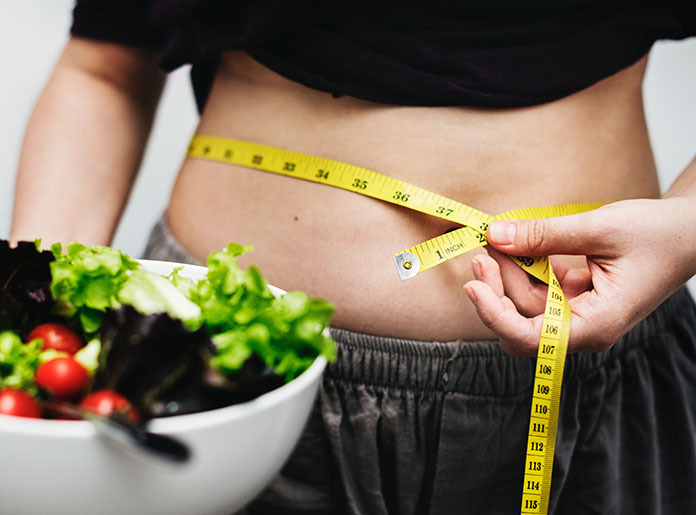 Losing weight takes time, and your acupuncturist can offer you the support you need to make the long-term changes necessary that are the key to your weight loss success. If you like this article, please share it with your friends using the floating Share buttons on the left margin. Cindy Chamberlain is an acupuncturist in Overland Park, KS and the founder of Eastern Healing Solutions, LLC. She is licensed in Kansas and Missouri and has been practicing traditional Chinese medicine since 1996. Cindy Chamberlain – who has written 25 posts on Overland Park Acupuncturist Cynthia Chamberlain. An article discussing how Chinese Medicine techniques can help people who are trying to lose weight. Previous post: Do You Ever Wonder What Causes Your Muscle Knots?